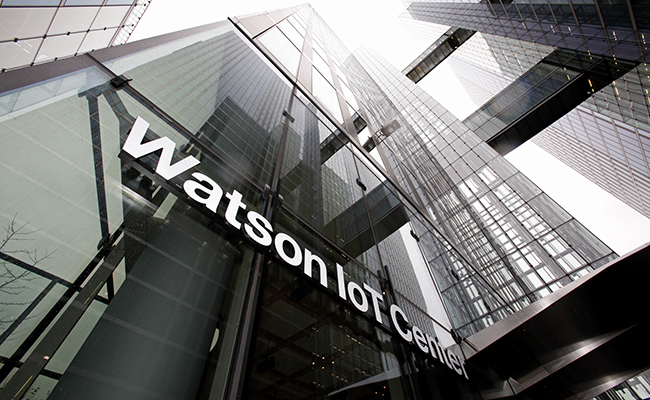 This week I was joined by dozens of visitors for the unveiling of an exciting new part of our Watson IoT Center in Munich, Germany. The new Government Industry Lab is an extension of the industry section of the Center, which provides tangible examples of how IoT and cognitive technologies are impacting how we live and work including automotive, manufacturing and worker safety. Government leaders are continually challenged to improve program outcomes, optimize service delivery, and strengthen security, safety and resilience. They face these challenges knowing they have to build capabilities to identify hidden patterns, apply insight with speed and build knowledge that will better enable them to enhance and protect the economic vitality of the citizens and communities they serve. The new Government Industry Lab is designed to help government organizations with these challenges. 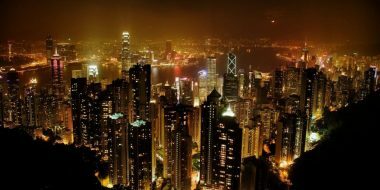 It demonstrates real examples of how understanding sensor data from the environment and within our cities through cognitive technologies can offer new insights and improve quality of public services. 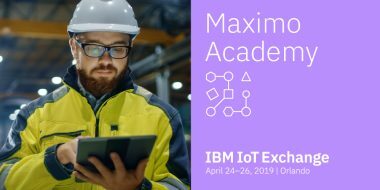 The goal is to showcase the art of what’s possible with IoT for public sector organizations and spark insightful discussions on how to rapidly and effectively develop IoT solutions for governments around the world. It’s becoming clear that the IoT has reached an inflection point today in all industries. IoT technologies, including sensors, broadband/network, advanced analytics and cognitive computing, are readily available and are being applied by organizations today. Did you know that IBM’s Green Horizons initiative is utilizing the Internet of Things and cognitive technologies to forecast pollution risks and define actions that mitigate impact on citizen health in Beijing? IoT can also support transformation of public transportation. The French Railways operator SNCF equipped its network covering 30,000 kilometers of track, 15,000 trains and 3,000 stations in France with thousands of sensors. With IBM’s Cloud-based Watson IoT Platform, SNCF is now connecting its entire rail system – trains, railroad tracks and train stations – to gather insights from real-time information on data to manage its equipment and thus improve quality, security and availability of its trains. Another example is from Portugal, where TUB (Transportes Urbanos de Braga), a major northern Portuguese municipality company has started using the IBM Intelligent Operations Center (IOC) platform together with capabilities from the IBM Watson IoT Platform on IBM Cloud to bring together massive amounts of disparate data and sources — including geo-location maps, weather/environmental, internet, ticketing and vehicle telemetry for maintenance, with the goal to improve city public transportation and passenger experience. What does the Government Industry Lab showcase? The ‘cognitive air quality forecasting and management solution’ creates air quality forecasting results showing the source and dispersion of pollutants across cities and surrounding areas 10 days in advance with street-scale resolution. Such insight can be used to make informed decisions regarding pollution warnings, prevention strategy, and contingency planning. The ‘City Command Center’ is a solution for public safety and city planners. This solution shows how to get a greater situational awareness, providing more timely information on surroundings to the officers on the street. Giving the command and control resources the awareness of what is going on so that they can provide better courses of action. The future of government systems is about new platforms and new tools, bringing new opportunities to reinvent public services for the digital era, services that are efficient, protect the environment and improve lives of all people. 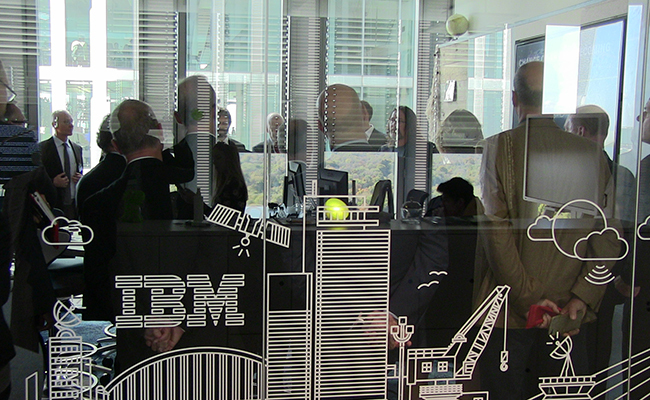 The best way to start a journey towards an instrumented and innovative government services is to visit the IBM Watson IoT Center in Munich and explore the power of cognitive IoT technology.